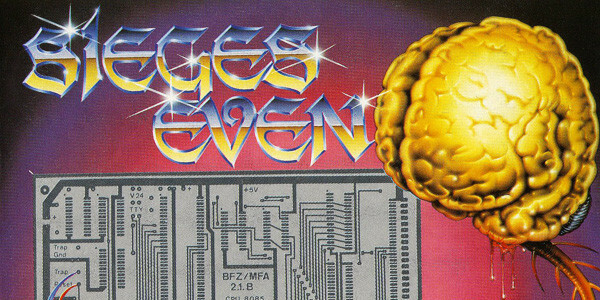 Sieges Even may have gone on to become a more considered, melodic progressive metal act but their debut was a beast of technical/progressive thrash, powered by the almost falsetto delivery of Franz Herde. Comparisons with Watchtower remain rife but to dismiss Lifecycle as a mere clone of Control And Resistance would be missing the point. This was an era of exploration and of pushing boundaries, which is exactly what Sieges Even were doing from the outset. Sure, both bands were influenced by the prog giants of the 70’s – alongside the thrash boom led by Metallica – but Sieges Even took everything that much further, splicing the DNA of prog and thrash to create a new, extreme, version of both. The results were extraordinary, dazzling the mind with a series of labyrinthine structures that were brooding, malevolent and practically beyond judgment! 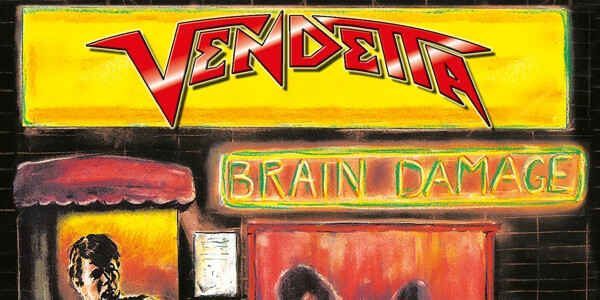 They don’t come more unique than Vendetta’s Brain Damage, an album that retained the required thrash crunch of the era while significantly maturing and offering unparalleled diversity to the discerning thrash fan. This was the sound of a band that should have left the underground, seriously skilled and home to such consistently impressive songwriting that a breakthrough seemed inevitable. Alas, it just wasn’t to be. But, that’s no reason to overlook its merits now as Brain Damage‘s fiendishly catchy melodies and exquisite guitar work are as impressive now as they were back in 1988! On a par with the awe-inspiring work found on Artillery’s By Inheritance and Annihilator’s Alice In Hell (more on that later! ), Vendetta’s technical prowess and crystal clear clarity showcased a band whose merits were writ large. After all, Brain Damage truly is an unsung masterpiece from the golden era of thrash! One of thrash metal’s most distinctive bands, Canada’s Voivod have spent their entire career releasing music that barely stays within the confines of thrash and purposefully flaunts the rules. 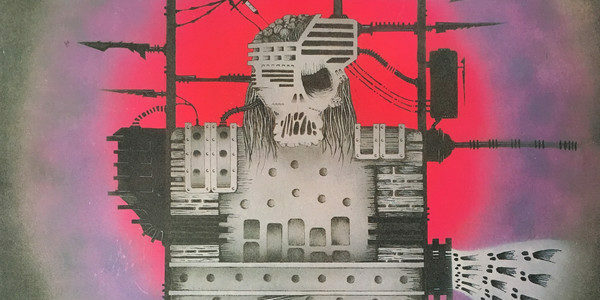 However, Dimension Hatröss was arguably the first time Voivod perfected their noise and channeled their unearthly visions into their most wilfully obscure – yet somehow coherent – collection of songs ever. Atypical and abstract, the riffs of Piggy and vocal delivery of Snake remain utterly unique and otherworldly and this twisting, turning, tumultuous sci-fi nfever-dream made flesh still sounds like absolutely nothing else on earth. With the likes of “Tribal Convictions”, “Brain Scan” and (the aptly titled) “Experiment”, Voivod were lightyears ahead of the pack and their peers (if they truly have ever had any) are still frantically trying to keep up. Not too shabby for an album that’s now 30 years of age!